By default, only single "Main" Calendar, Contact and Task folder is selected for synchronization. If you’re willing to include specific folder(s) to synchronization, check it. 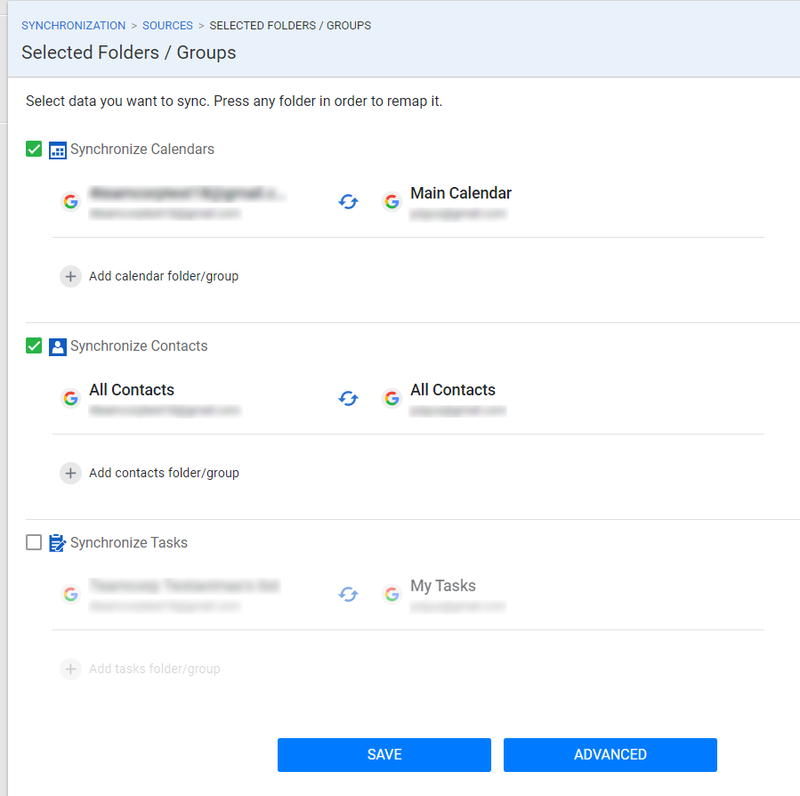 "Sync new folders" – SyncGene will sync new folders/groups when it's created on any source to all other sources where the option is enabled. In case folder is deleted on one source, it will be deleted on those with selected checkbox. The unchecked folder will not give or receive any updates and will not be included in synchronization with other sources. You can disable a specific type of some account by pressing the toggle button on top - all folders will be considered as unchecked.